This magical football season has been over for two weeks now. The wild celebrations in the streets have ceased, the manic displays of joy on parade day are over. Yet Seahawks fans, I sense, are still clinging to the warm memories, unwilling or perhaps even unable to let go of the euphoria. Seems like the perfect time to take a look at what in the name of Big Lo is going on here. Surely, whatever phenomena is at work to get men and women, young and old, rich and poor, folks of every ethnicity and occupation, to share the same fixation has to be deeper than just the fate of a football team. 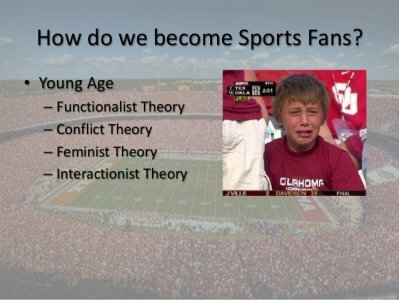 It turns out there is a whole discipline of studying sports fanaticism, and it spills over into elements of psychology, sociology and physiology. A lot of important, fascinating, surprising stuff is churning around this topic, even though the cynical among us will be quick to derisively point to Jerry Seinfeld’s famous line about how fans are basically “rooting for laundry, ” because of the rapid turnover of players. The average fan doesn’t need to know about such academic terms as “ingroup” and “outgroup.” It suffices to say they love their team and hate their archrival. What social scientists refer to as “disinhibition” and “deindividuation, ” we recognize intuitively as the notion that you can get away with things as a fan in a crowd you’d never dream of trying in normal society. The phrase “cathartic healing” is a fancy way of saying that rooting for your favorite team makes you feel better about your life. Because it does. Virtually every study shows precisely that: The sense of goodwill, bonding and shared purpose that comes with being a fan has a ripple effect that can benefit all aspects of living. Meaningful play are actions or activities built with either a designed or inherent intent, such as data collection or therapy.